Getting more blog traffic is always the desire of every content marketer, blogger and online business owner. None of these people ever get satisfied with their traffic as we always believe we should be getting more visitors, however, it’s not always like that. Since traffic is the blood and life of every online business, not just blog, it’s important to always look out for ways to increase your traffic and generate more leads. One of the easy ways is to get your contents translated to other languages and target non-English surfers online. If you don’t know, English is not the most popular language in the world and most online users are not English speakers, meaning that your English site is targeting just few people online. Some ways people target non English audience is to set it in google console, other ways is to have local Tlds and translate your contents either using translation tool or outsourcing native speaker to translate for you. It’s important to note that, using translation tool can do harm to your site and can result to duplicate content issue (a topic for other day) but hiring someone to interpret the articles in the targeted country is safer and better but costly. What’s now the way out to get more traffic from non-English speakers without burning your wallet and getting devoured by google animals? Installing Google Translate plugin is the key. Although no translation tool, including Google Translate is perfect in getting your articles well translated as there would always be flaws. Some words, slangs, and even grammar may not be well interpreted but giving opportunities to your foreign visitors to read your blog in their local language means you’re extending love to them. They can be more loyal to your blog, share your post and even link to your post from other sites. This means the pros are far better than the cons. To get started, kindly go here and add your site. (if you’re having many site, replicate the process as copying code generated for other sites would not work). The next step is to choose if you want your blog to be translated in all languages supported by google or choose specific languages you want to translate to. You can translate articles to over 100 languages. 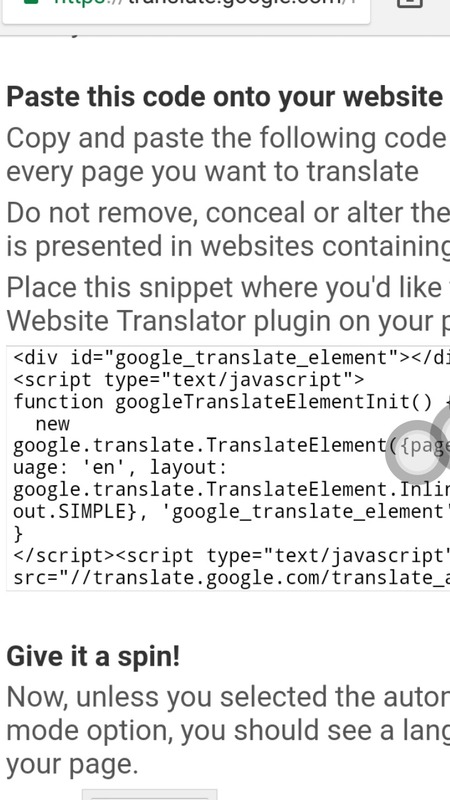 Vertical : Meaning you want the Google Translate trademark to be displayed in two lines. Horizontal : The trademark will be displayed in just one line. 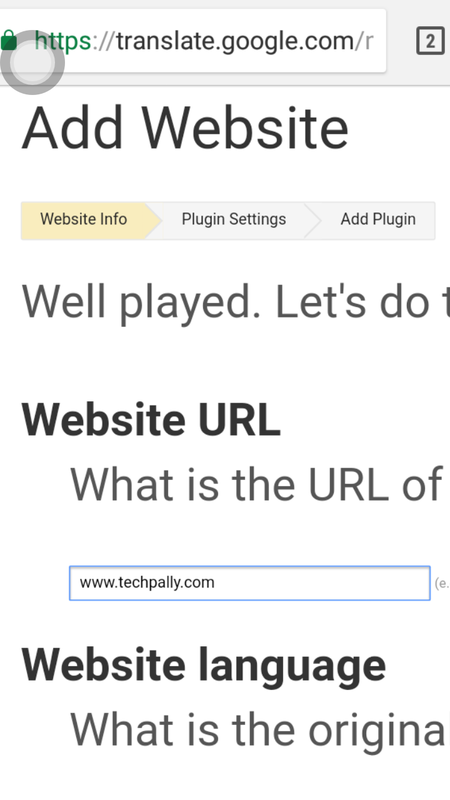 Drop-down : Simple as it sounds, other info come underneath just a single interface. Also in the display mode, you can choose ‘Tabbed‘ and have you translation button as tab on your site. You can further choose to have the button in the lower right or the lower left of the widget or in the upper right or the upper left of the widget. 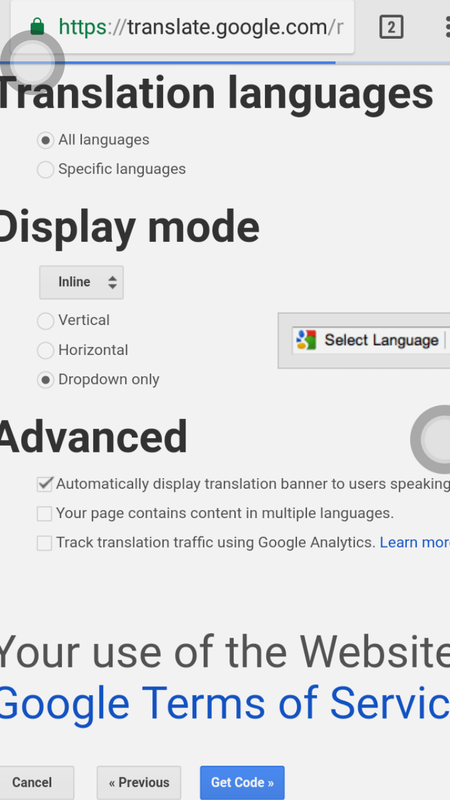 However, If you choose the ‘Automatic‘ display mode, the Google Translate plugin would detect if the visitor’s browser is set in non-English and ask for permission to translate the page to the visitor’s language. The user can now choose to translate the content or refute it. This is simple for both bloggers and audience. As blogger, you don’t get penalized for duplicate content, no cost and you don’t increase your allotted server bandwith as a result of this since the content would be translated over the browser without refreshing the page. For bloggers who have tried this, they’ve reported increase in both organic traffic, CTR, unique visitors and pageviews. In most cases, blog traffic increased by at least 40% and their blogs also compete and appear for search keywords in other languages and bring organic traffic. When we tried this, we also experienced increase in traffic even though it’s just one week now and we’ve been seeing good result and hope we get more from this blog traffic hack. Safe, white hat, reliable and long lasting. The only downside is that, not all native language speaker will enjoy the translated version but at least can choose to read in English. You also have the opportunity to push your site in front of non-English speakers who might not have interest in your blog in the first place.